If you are looking to create a big boost in your business, then one of the best things that you can do for your business is to build a list. What is a list? It’s when you collect contact information from people who visit your website. Why is it important? It means you’ll be able to send them links to articles, products, and offers and if you take the time to create a meaningful relationship with the people on your list, and they trust you, then they’ll be more disposed to buy whatever you send in their direction. You can even use an email management system (an autoresponder) to automatically deliver emails in a sequence as soon as a new person joins your mailing list. That means you can send them additional information or affiliate links that get automatically sent to anyone who signs up to your list. In other words, having a list is important, and it can be a gold-mine. The problem is that a lot of people don’t know how to go about creating a list or if they manage to create a list they don’t know how to make it convert into additional sales. 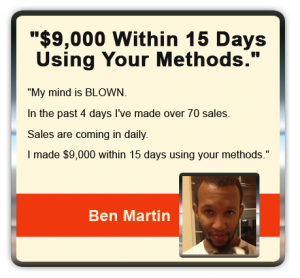 If you’re interested in learning what to do with your list then you might be interested in a product called Mailing for Money, it’s a rather new product from a new-to-the-scene marketer, Ben Martin. It’s inexpensive so I thought I would grab a copy and review it here. In this Mailing for Money review, you’ll discover what’s behind the doors so you can see if it’s what you want to invest in. Remember, it’s Easier Said Than Done! A lot of these marketers want you to believe that their product is the solution to all of your problems because they want you to buy their product. But there are a few things that you should know before you get involved with this kind of products because you can waste your money if you buy into the shiny-object-syndrome. For starters, the income results advertised on the sales pages can be easily faked. 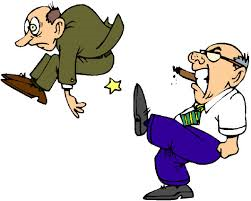 It’s also important to keep in mind that these income claims can be generated not from the strategy being advertised but rather from other strategies or a combination of strategies. Any affiliate marketer can take a screenshot of his total earnings and say that’s what you can make if you buy their product but that income could have been from his own products or other campaigns, there’s no way to know for sure. “In other words, it’s always good advice, to not believe everything that you are told by them”. So what’s this program about; Well let’s review it here. Mailing for Money is a video course that’s split into six modules and also has additional bonus modules. 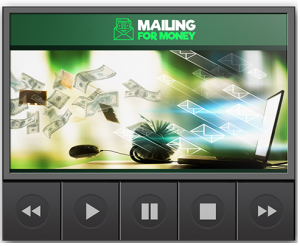 Each module is a video that’s about 20 – 30 minutes long and is dedicated to a specific topic of email marketing. The first module introduces you to the program and discusses the basics of email marketing and how to go about marketing to your list. Then, the rest is all about how to write attention-grabbing email subject lines that that hooks readers attention and encourages them to open your emails and how to write content that engages the reader’s, which is great for sending them additional product information and recommendation with links to about affiliate products. 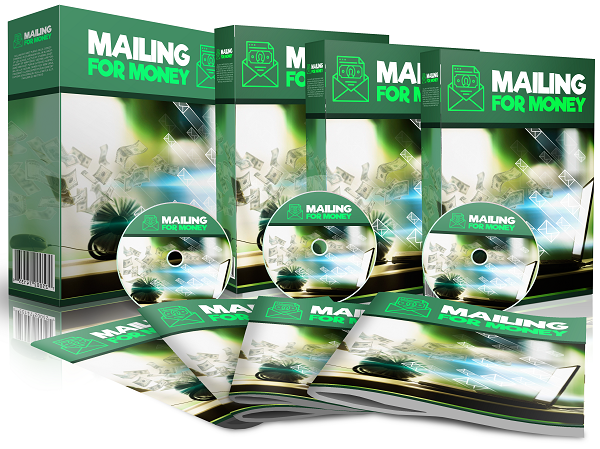 For those of you, that like to be able to read something or have something to reference after you complete the video training, you’ll also get a 41 Page PDF guide that makes it easy to see success with Mailing For Money. It’s assumed that you already have a list, and you’re wondering how to promote products to your list. There is some decent information about how to promote products to your email list as well as actual sales writing advice. One tip that I specifically thought was quite powerful (and it can be carried over into other areas of your online business) is how he comes up with email ideas. Like a lot of marketers, Ben Martin recommends creating unique emails with a friendly conversational tone. Of course, the problem is that most people don’t know how to do that, and one of Ben’s solutions was quite interesting. The idea is to try to recall a scene from your life (like a memory or something funny that happened to you) and turn it into an email. Write about your life and include stories that lead into an affiliate offer. These emails are good because they grab the reader’s attention! The first five modules are all about how to get your list to convert, and there’s a lot of useful advice in there that will benefit anyone who is looking to sell products online and its a great course for anyone wanting to learn about email marketing for a small business. This is another section of the product, the bonus section, where the training focuses on how to grow a list and get the traffic to convert. Let’s talk about the negatives. I didn’t like that there are up-sells. I’m sure these are all useful, but I don’t like being hit with up-sells when all I want is the initial product on offer. There is also a down-sell where if you leave before you purchase, you will be offered the program at a very good discount – that is too good to pass up. As I mentioned earlier, if you’re a total beginner, then you’re going to be left wondering how to create a list… this basic package of videos only briefly scratch the surface of how to create a list, unless you purchased the upsells and got the bonuses. So if you are a complete beginner and want to know how to build a list from scratch (and what tools to use etc.) then I’m afraid this product is not the right training material for you, if you don’t buy the additional upsells and only purchased the down sell. So, Mailing for Money is a decent enough product, but it’s not a full-scale internet marketing training course. 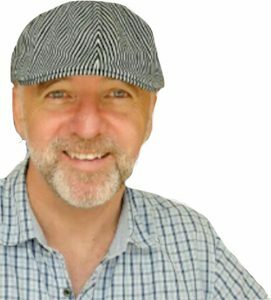 However if email marketing is something that you want to get into and you already have a list, then I think you’ll get some great value out of this training. 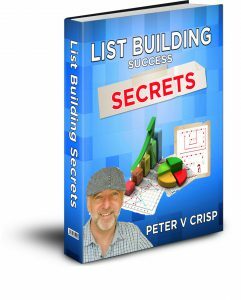 If you don’t have a list you and you want to know how to build one grab a copy of the List Building Success Secrets below. Is this Email Marketing course Worth it? It’s not expensive, and it’s a low one-time payment with no ongoing monthly fees, so feel free to check it out, as the information is good quality and certainly worth way more than the low purchase price and there is a 30-day money back refund if you are not happy with it. 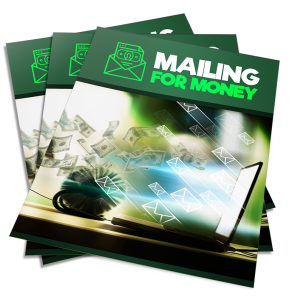 So, Mailing for Money is not a scam, but neither is it a full-scale internet marketing training system, it is a good fit for people who have an email list or an existing list of customers and want to turn that list into additional cash. – To that end, it does an excellent job. 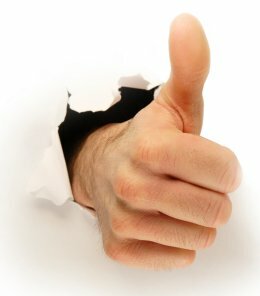 Of course, you are going to need an autoresponder to send out those emails automatically, and if you don’t already have one, I have a review of one that may interest you that you can see here. Commission Black Ops is also an email marketing training course that uses military style themes and language and is about affiliate email marketing and how to promote affiliate products to your email list and how to earn commissions from those sales. However if you’re not yet ready to market to your list or haven’t built one yet and are interested instead in learning how to build your own online business, a business that will allow you to work from anywhere in the world. Then check out my number one recommended ‘online training course‘ that you can begin for FREE. 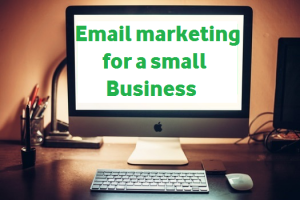 If you have enjoyed this post “Email Marketing for a Small Business” please feel free to share socially or ask a question below. I keep hearing about building a list and getting into email marketing but I am having a lot of trouble getting people to part with their email addresses. I’m beginning to think people are just too wise to give away their email address these days because they are afraid of being spammed every day. How do you get past this mind set and prize an email address out of them? They do say that the money is in the list, donâ€™t they? Iâ€™m not into email marketing myself but I can see why a lot of people do use it to generate an income. But I also think that you would need a big list and I do mean thousands of email addresses to send your message to in order to make the time and effort worth your while and for me it seems too much work for not a great return. You finished with a short description of Wealthy Affiliate as an online program that will give you the training to build a sustainable, long-term business and become successful at online marketing. For me that is the much better option. Hello, Robert thank you for your comments. I agree Wealthy Affiliate is a great place to get an online education to build a long term sustainable income, they have certainly helped me. I’ll have to read your post about Commission Black Ops. What do you use to manage your list? I have started an online business for few months already. I really want to upgrade my business by creating an email list. But my website has not enough traffic and I don’t know where to start. How many traffic should my website have to start building my email list? Is there any proper education on email marketing? Thanks so much for this great information. I have just started building an email list. Subscribers are slowly trickling in. By slowly, I mean I now have 12 people on my list. But I have no idea what to do with that list. Right now I am simply sending out new articles that I publish. However, I noticed that typically only 1-2 people actually open the email. So that is another problem. I assume that my emails probably end up in a spam folder which many people never check. Do you think that Mailing For Money (without the up sells) would be worth it for me? Hello, Simone , To answer your question. Itâ€™s not expensive, and itâ€™s a low one-time payment with no ongoing monthly fees, so feel free to check it out, as the information is good quality and certainly worth way more than the low purchase price and there is a 30-day money back refund if you are not happy with it. However, I think Commission Black Ops which is also an email marketing training course and is about affiliate email marketing and how to promote affiliate products to your email list and how to earn commissions from those sales is a much better option. Hi Peter. I think I’ll pass on the Mailing for Money course. I would probably consider it for under $10, but you can almost see the up-sell coming by virtue of the fact that there are 4 boxes, 3CDS, and 4 manuals in the promotional graphic. I don’t think most people fall for that any longer. Anyway, thank you for your honest assessment. On the other hand, I would be interested in reading your ebook on video marketing. It looks interesting. This article was very interesting and informative as well. It was very nice to read your article and have a different point of view of online marketing. The fact that your favorite point was creating a user friendly email was great as well. My grandma was looking for a way to kill some time and make some money at the same time. I will definitely recommend her to this website. I think it is just what she is looking for. Hi Peter. Great post and awesome website. It looks very profesional. Thank you for these very useful information on how to create a website. Although there are free website tools with free domains i think it’s better to always buy your own domain and host, this way you have complete control over your website, and in terms of search engines more credibility. Regarding WA i also agree that they show things easier than others. Keep up the good work. Will be visiting your site again. When I first started in the online business world, many successful individuals I was following at the time said that building a list was the most important thing a beginner could do. Do you agree with this notion? What are some of the best methods to building a list and is it ever too early to start?